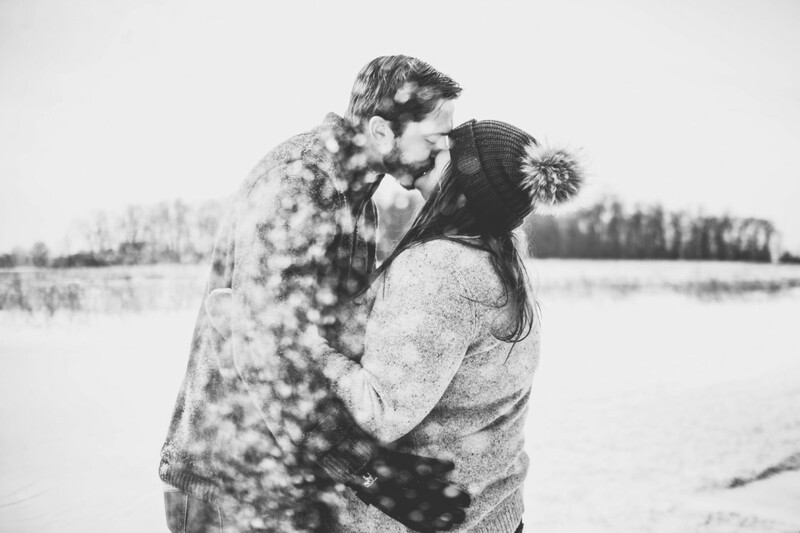 This Winter Engagement Session in Ann Arbor, Michigan was the perfect start to warm up the chill Michigan has given us these past few days! Sarah’s private family residence in Ann Arbor was the perfect spot for their engagement photos. Nestled in the heart of the country back roads, her family barn brought country charm in the heart of Michigan’s Winter. And their dogsssss- CAN WE TALK ABOUT THE CUTE FOR A MINUTE?! Though they didn’t last long, Sarah had more accessories picked out for their fur baby children, than herself! Now that’s my kid of girl! There aren’t many people I’ll walk on the edge of frostbite for, but these two made our time together SO worth it, and as a winter snowy bride myself, sometimes you just gotta play in the snow! Sarah + Tim, I can’t wait for your Barn wedding this September – though we’ve all agreed that if the windchill is -20 again, we won’t make eachother throw snow! 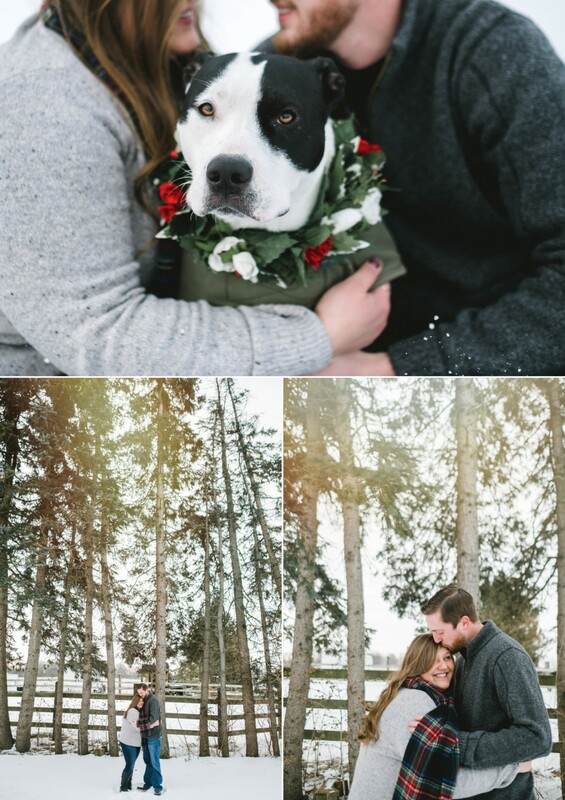 This entry was posted in Engagement and tagged in ANn Arbor Winter Engagement Session, Detroit Wedding Photographer, Michigan Snowy Engagement Session, Michigan Winter Engagement Photos, Snowy Barn Engagement Session, Winter Barn Engagement Session, Wintery Engagement Session.